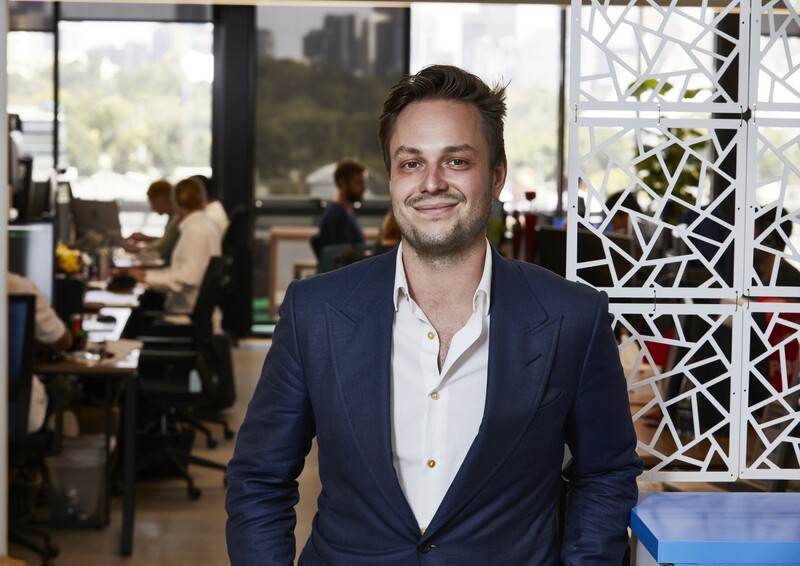 I had the pleasure to interview CEO of Bitcoin Australia Rupert Hackett where we discuss about various topics for Digital currency entry barriers, building trust and transparency with the end investors as well as 5 tips on how to successfully manage large teams. I am apart of a small group of people who began their professional careers in Cryptocurrency. I have studied 5 different degrees, after graduating from psychology I was very interested in social psychology (human behavior). I studied economics (which is a study of social behavior) from this lens which was when I discovered Bitcoin in detail. At that point the advent of the ability to trade digital value between peers without intermediaries in a system which was far more secure/trustable absolutely broke the fundamental assumptions of economics. From that point on I was obsessed, I enrolled in the world’s first masters in Digital currencies and through word of mouth connected with a startup investment firm Dominet Ventures and co-founder of Bitcoin Australia and Apollo capital. From there I have been most passionate about ensuring this big ideas of blockchain technology are understood. I am a board member of ADCA (Australian digital commerce association) which is the leading industry initiative in Australia and have joined an internal body the IDACB (International Decentralised Association of Cryptocurrency and Blockchain) as the representative of Australia as a forum to discuss regulation and global initiatives, we have over 80+ countries in association at current. A lot work I have done would be called pioneering. I remember one time being invited to the 12th story of the Victorian Police Headquarters to discuss the implications of Digital Currency in an attempt to demystify the tech, It was me and 8 senior constables etc. The next day I had a call from the same building saying I was under arrest and needed to come in to the holding bay that day. Little to say it became quite clear shortly after that I was not the creator of Bitcoin or could ‘put a stop to this’ but I will always remember the juxtaposition of environments as being quite hilarious. Luckily I was never arrested but I have done a lot of work in fostering communications between government and Crypto as there was an obvious ignorance about the subject. Synchronizing large teams is always evolving and I think that’s one of the most exciting things about the role. Running a company to scale requires you to constantly rethink and re-learn management. Synchronization of large teams requires you to build empathy into process whilst balance with objective. As a company scales it’s important that people still feel that they are someone and are apart of something and you need to make sure that your core values are clearly expressed throughout the culture of the business as when you scale it is hard to not lose the interpersonal relationships with every member of your team. I have found that giving people appreciation and self expression is a great ethos with keeps the a team collective. 2. Being a successful manager should not be viewed as a position of status. Understand that you have to put others first and go through a lot of challenges that others won’t read about. The trials and tribulation, sleepless nights and constant care is what defines a successful manager and remember that that is the job. 3. Value hearts and minds of others and they will respect you. Good management comes through ensuring that everyone has a sense of belonging and respect in a company. Management is more about aligning people than anything else. 4. The company lives and dies based on your decisions. Understand that this is a position of responsibility and that you will have to deliver tough news often — become comfortable with this. Good management comes from rising of to the challenge and being able to make tough calls often. 5. Being a successful manager means focusing mental time to problem solving. What I see time and time again from successful managers is their ability to move through bad news into a problem solving mentality immediately. If you’re spending time focused on the problem then your wasting your brain, use it to focus on the solution and you are successfully managing at your full capacity. Time difference is the obvious one. I think the hardest part is entrusting someone to go from ground zero and try to recreate the same environment, product and service as you would in your local country. I remember going to Canada to scope out the strategy for the launch of Bitcoin.ca and it being a very self motivated experience. I remember the first meeting visiting a company called interac — at the time I thought they were an online payment gateway. I realized quite quickly (on the 30th floor of the Royal Bank of Canada) that I was speaking to a NFP bi-partizan between all banks in Toronto, in effect, you had to be a bank to join up with them. Talent wants to do great things and increase their knowledge. There’s no one way to manage but I believe in a collective approach. I think that retaining talent also requires you to screen people that you think will be great in your companies environment. It starts with recruiting people that you believe in. In all the great people we have hired the key variable I’ve wanted to know is ‘do I have your heart and mind’ in what we’re trying to accomplish. Management evolves and you need to evolve accordingly. Running a company is about motivating people. As a leader you have to remember that there’s you role is to get the best out of people. You do this through interpersonal communication. If you make people feel Inspired and aspired then your company will do great things. It can be quite difficult to entrust someone to build your vision with the diligence required particularly when every country has its own nuances and standards which you don’t see when your not on the ground. I believe core values are important to successes as an influencer. For me I found my core value was to strive to ubiquitously help mankind and that has lead me to to the decisions before starting a company. It was my core values that gave me the appetite to do crazy things that I thought were not crazy. Pursuing the degree I didn’t like, for the Job I didn’t respect, would have been the crazy idea to me once I had found my core values.